We wanted to share some exciting news from the Royal family’s favorite hotel in London. 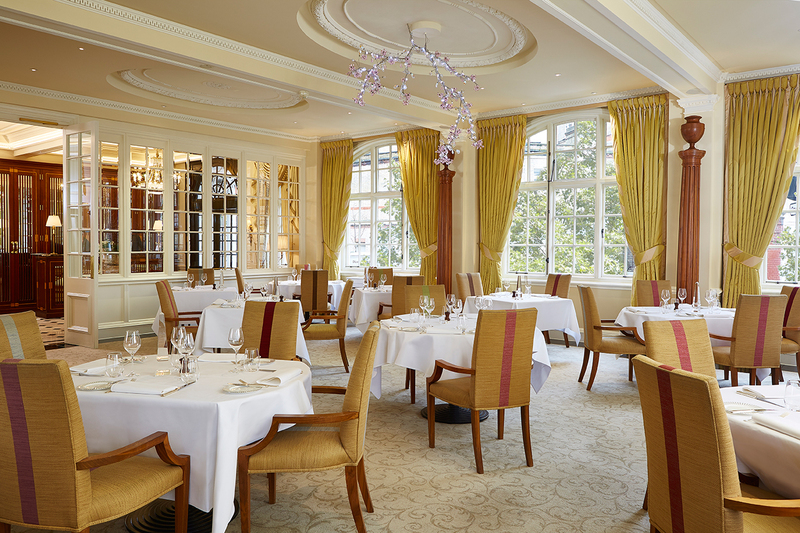 The Dining Room at The Goring Hotel, most famously known as the place Kate Middleton stayed the night before her wedding, was just awarded their first Michelin Star. The Goring is one of only four London restaurants to be given their first Michelin star in The Michelin Guide Great Britain & Ireland 2016. 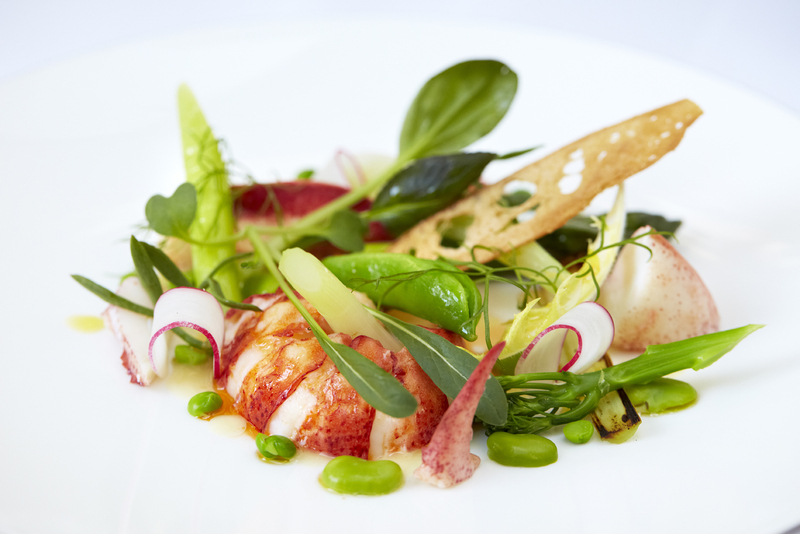 In addition to its first Michelin star, the restaurant is a holder of three AA Rosettes and the only Relais & Châteaux hotel restaurant in London. With the completion of a smashing designer renovation earlier this year and the refresh of The Dining room, now is the perfect time to head to The Dining Room at The Goring is the place to experience quintessential British cuisine with innovation. The hotel’s rooms and suites have been brightened, buffed and lavished in precious silks. The effect is relaxed sophistication of a grand English country house—and a dash of idiosyncratic humor that one has come to expect from The Goring. 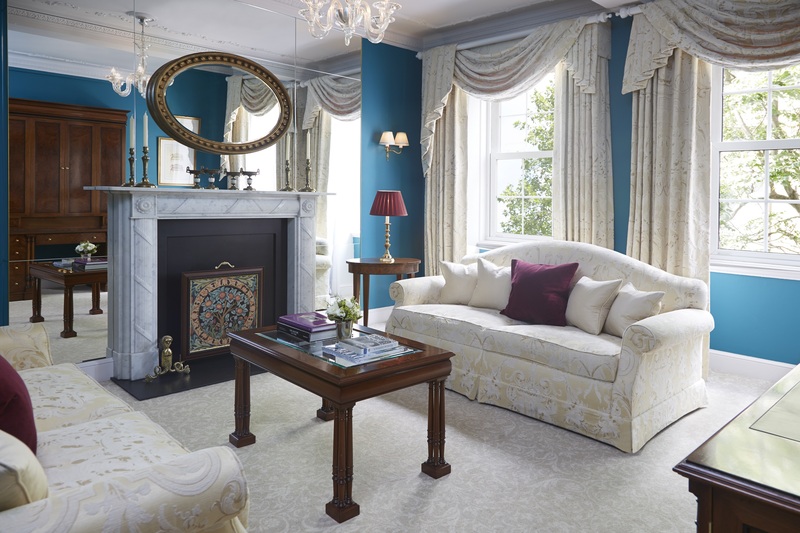 Ask to see the magnificent suite Kate Middleton slept in the night before she married Prince William. Throughout its 105-year history, The Goring has been home to aristocrats, royals just plain discerning travelers who seek quality, razor-sharp friendly service and a civilized atmosphere. 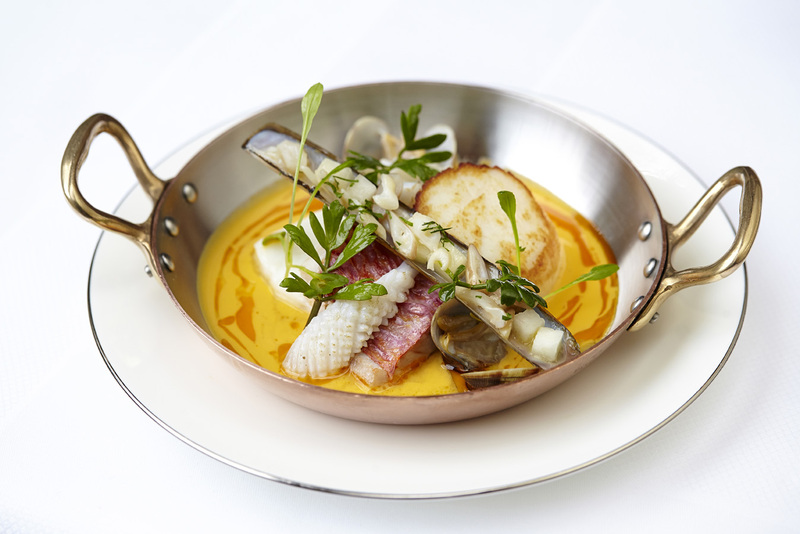 Known for catering to exacting tastes, The Goring shuns glitz and is dedicated to vibrant cuisine without being poncey. Jeremy Goring, the dashing CEO of the hotel can be justly proud of the grace and charm that his hotel exudes. And, in this most English of hotels, the Lion and the Unicorn, in full heraldic splendor battle it out forever, a discreet reference to Royal Warrant displayed outside the hotel. 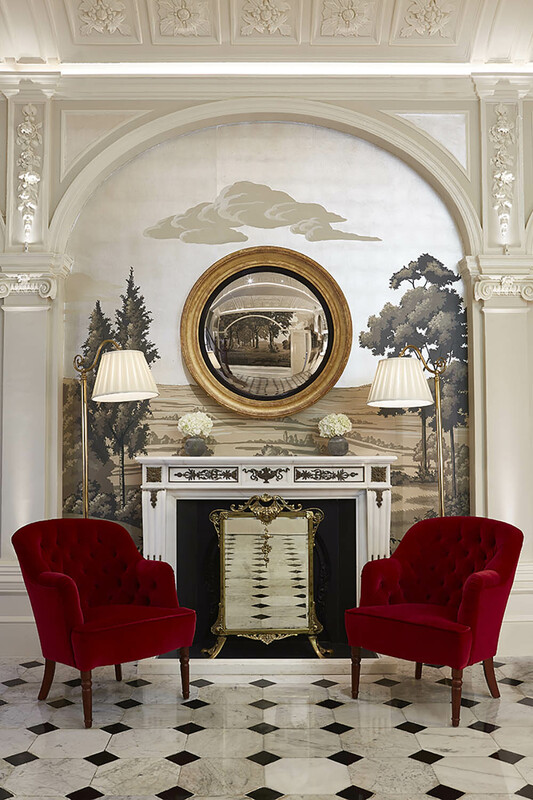 The hotel’s new wallpaper, which took four artists almost eight weeks to paint, is hand-gilded silver leaf on paper, with the design hand painted in acrylics. (Look closely: Kate Middleton painted a few finishing flourishes on this paper). Resplendent new Reception and Concierge desks designed especially for the space evoke the grandeur of Georgian Chippendale furniture. 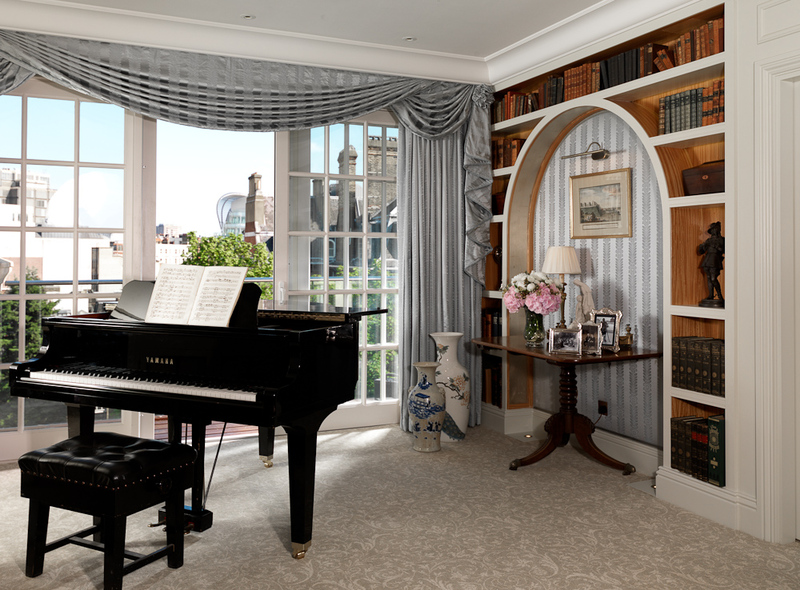 A specialist commission of golden Gainsborough silk adorns the windows, echoing the sumptuousness of the bedrooms and suites upstairs. The dining room service is razor sharp, impeccably polite and friendly, but not overly so. The wine list is to die for and fairly priced. The lighting and decor is sublime. The team of Olivier Clausse, Head Sommelier; Shay Cooper, Executive Chef; and Mikko Jappinen, Restaurant Manager, work flawlessly together.